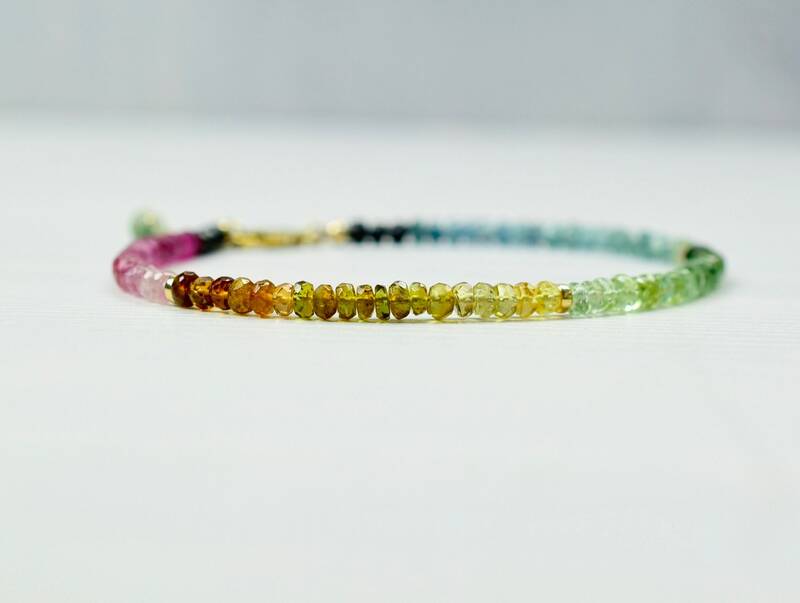 A beautiful Rainbow Tourmaline bracelet designed with sparkly gemstone beads. 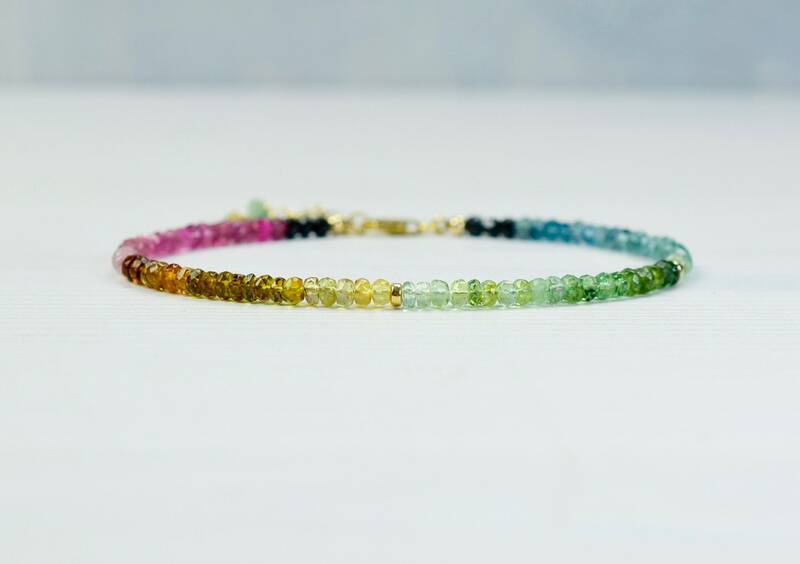 The Tourmalines are strung in graduated tones of Pink, Orange/Yellow, Green & Blue Tourmalines and I have carefully selected each Tourmaline so that the gemstones transition from one colour to the next in an ombre effect. 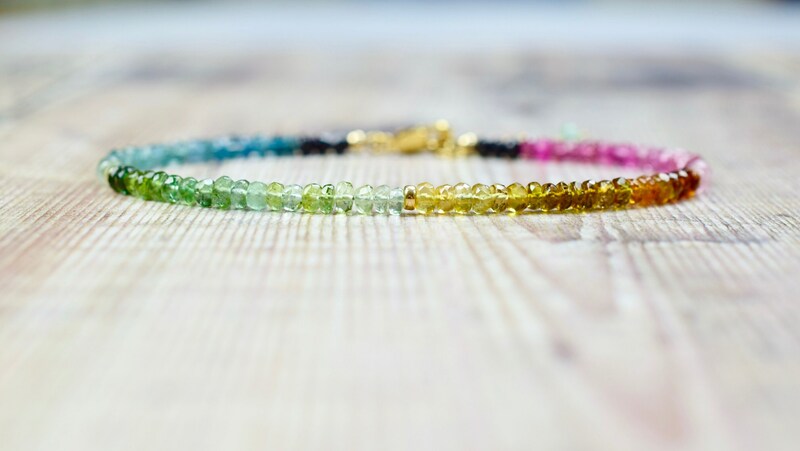 I have also included Black Tourmaline, which is known for its protective properties. 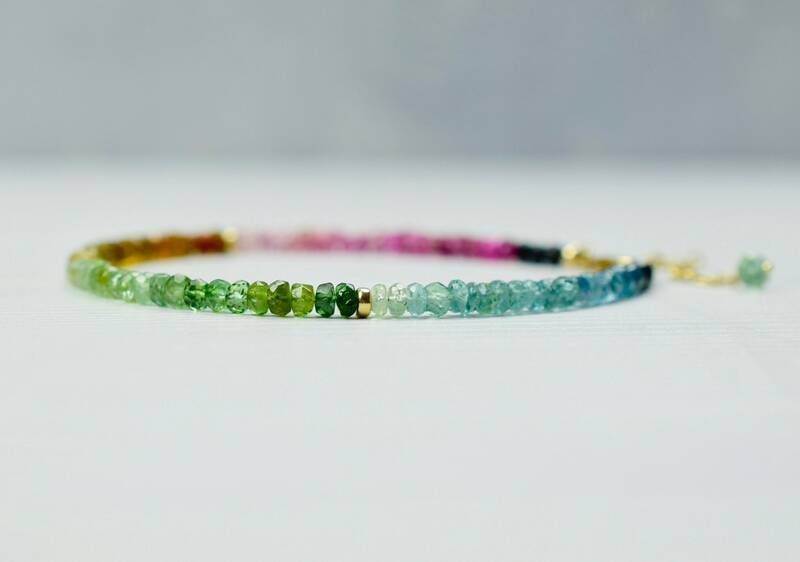 The Tourmaline segments are separated with 14k gold filled rondelles and the bracelet fastens with a 14k gold filled Lobster clasp. 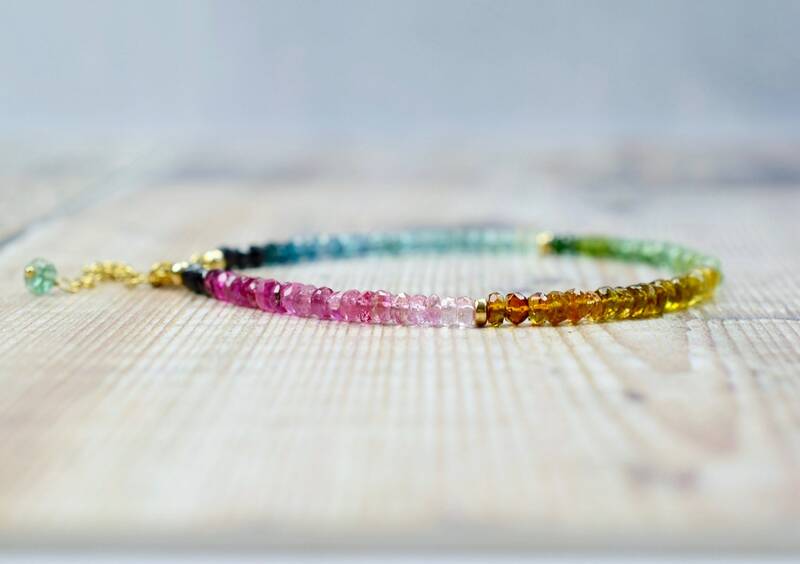 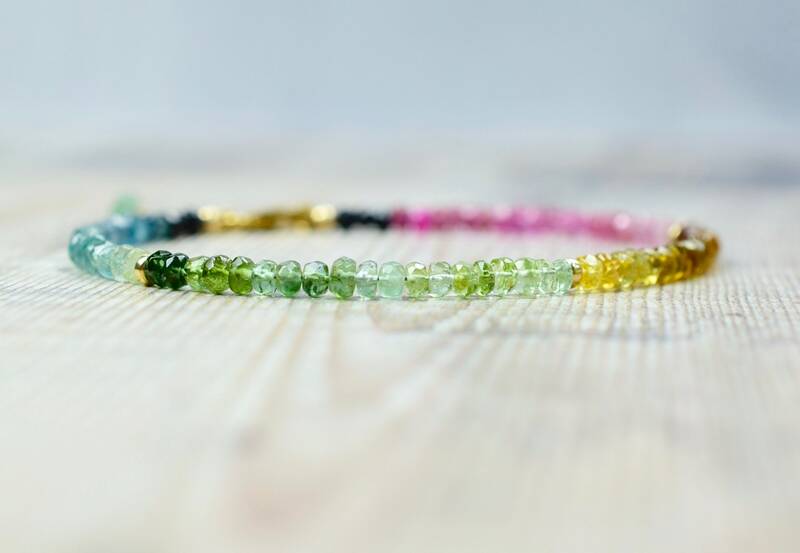 The gemstone bracelet is made with red, pink, yellow, green, blue & black Tourmaline beads. 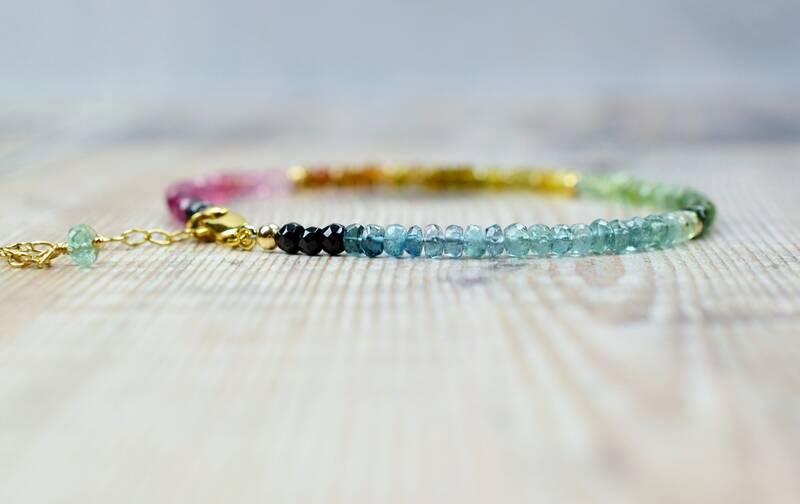 * Black Tourmaline is thought to be an excellent talisman of protection, and acts as a psychic shield deflecting and dispelling negative energies, entities, or destructive forces. 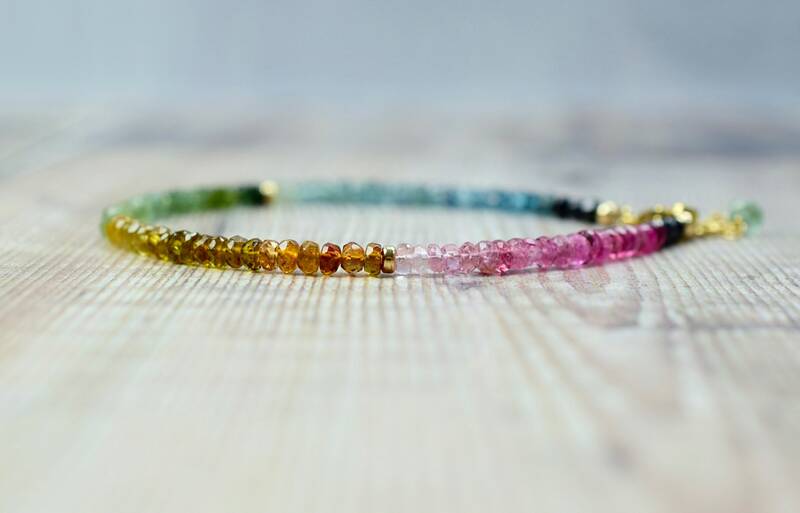 * Pink Tourmaline is thought to help calm and soothe the heart and it is believed that wearing Pink Tourmaline throughout the day helps release stress, worries, depression and anxiety. 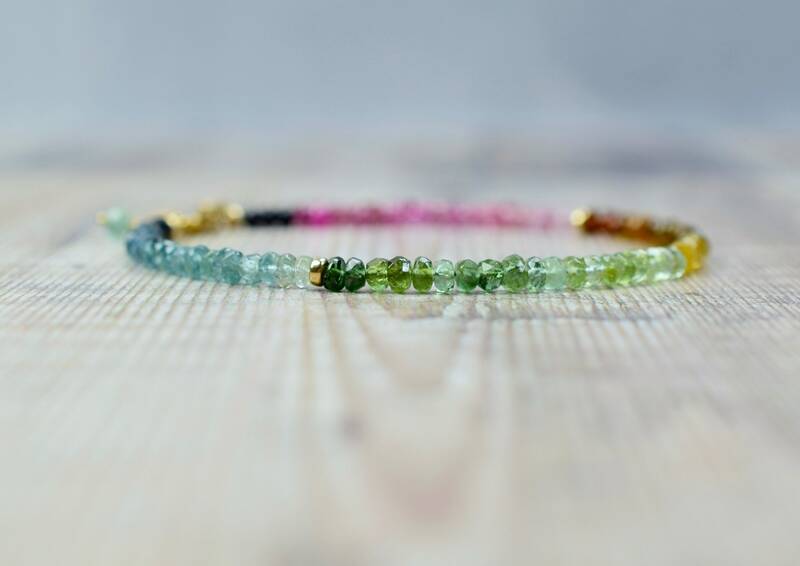 * Green Tourmaline It is the counterpart to the heart energies of Pink Tourmaline, and enhances courage and strength, stamina and vitality. 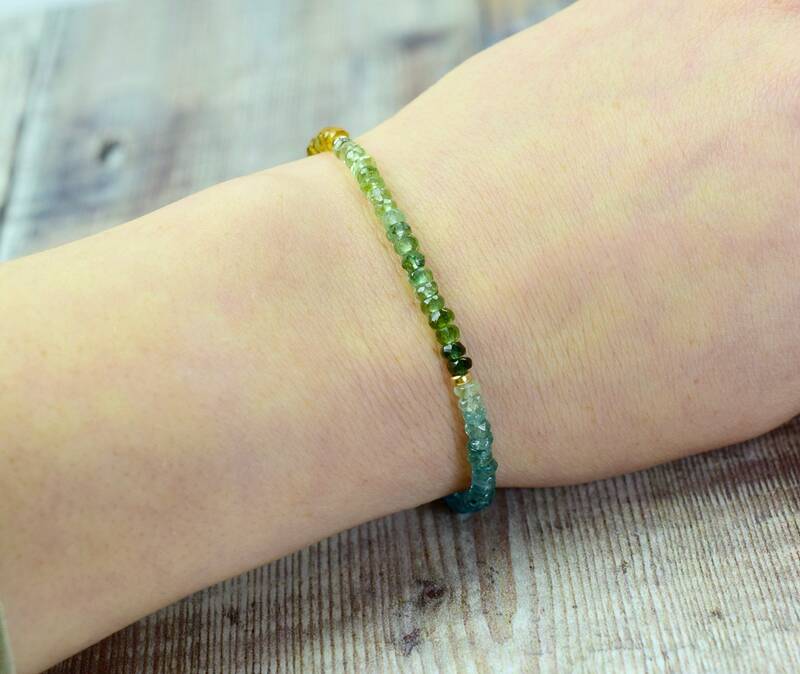 Green Tourmaline is believed to attract luck, success, abundance and prosperity!